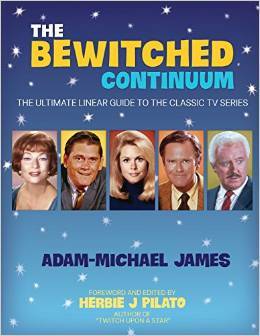 Review : The Bewitched Continuum / TVparty! Name one sitcom from the 1960s that can still inspire laughter - I'm guessing Bewitched will top your list. There aren't many with a cast of highly enjoyable characters in a genuinely well written comedy as you'll find in the best episodes of this series. Sure Bewitched got silly all too often at the end, it was a silly concept to begin with after all. 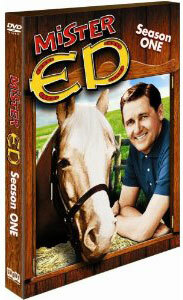 The first season especially stands the test of time, it stacks up beautifully against anything produced since then. Funny as Seinfeld? Yes. Frasier, Cheers, Mary Tyler Moore? You bet. What an astounding achievement this encyclopedia is - not just for the in-depth synopsis of every single episode but for triangulations, how the various characters related to one another, inconsistencies and continuity overlaps. Perfect summer reading, at 600+ pages it's thick as a brick, a book to last the whole season long and then some. At every turn there are revelations I hadn't considered before - I was surprised for instance at the number of storyline retreads the show returned to on many occasions. 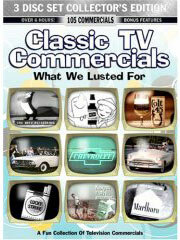 This is a book primarily for fans of the show's characters and plotlines - if you want behind-the-scenes stories that's best left to Herbie J. Pilato's excellent books on both the series and its star Elizabeth Montgomery. 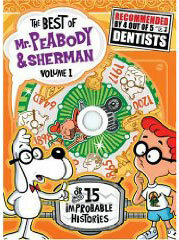 Indeed, Mr. Pilato wrote the intro to this massive tome. The Bewitched Continuum is an extended love letter to one of the funniest and most enduring sitcoms of all time, as much fun to read as Bewitched is to watch. No true fan of the show should be without it! 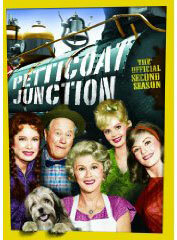 By the way, you can now purchase the entire series of Bewitched for less than $30.00 at Amazon!